Remember that knobby tired adventure scooter concept we showed you from Honda last month? A surprising number of you agreed with us that the want to ride was reeeeal strong with this one - and it looks like now you’ll get your chance. 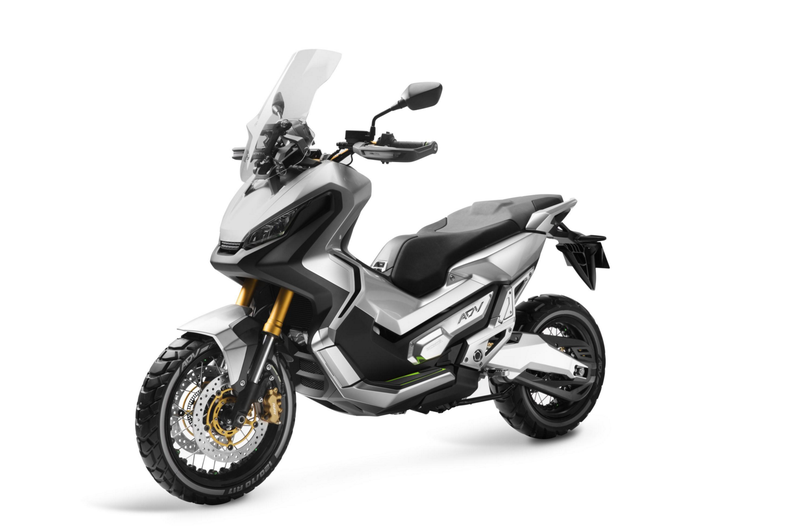 Honda Europe has now filed for trademark patents for the “ADV” name, as was seen badged on the City Adventure concept during EICMA. While the idea of an adventure scooter is new, the ADV isn’t actually all that far of a stretch for Honda. It will use the 745 cc motor and DCT engine from the NC750 range, likely with technology borrowed from the DCT in the new Africa Twin (review coming soon!). It’s also the same platform they’ve used as the basis for Europe’s Integra scooter. As of now, it looks like the ADV will only be released in Europe because, well because they’re the only people who actually appreciate scooters. But, this might be just the thing we need to get over our machismo and realize that scooters are freaking awesome.